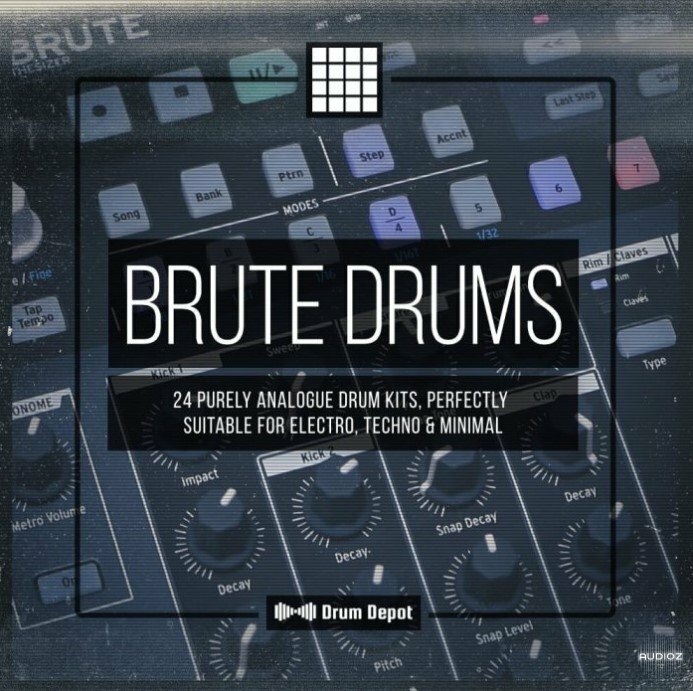 Brute Drums brings you the undisputed and raw sound of Arturia’s DrumBrute with eight kits in three variations each: Fat, Medium and Soft, just like a steak. The Soft versions host the original sound with only a few mixing corrections, as the hardware drummie sounds very harsh. Medium kits got some love from Marco’s TLA outboard compressor, while the Fat ones went through his whole arsenal of dynamics and soundgoodizers. Enjoy! 288 Samples, properly named and sorted by category. Color coded pads for Battery and Maschine. Full engines with patterns and samples for Geist. Supported formats: Battery 3+, Kontakt 5+, Ableton Live 9+, Maschine 2+, Geist & Geist Lite 1+, all SFZ & WAV compatible samplers.